This kitchen is light & bright despite the dark, dramatic contemporary cabinets, due to the white countertops and abundant lighting. 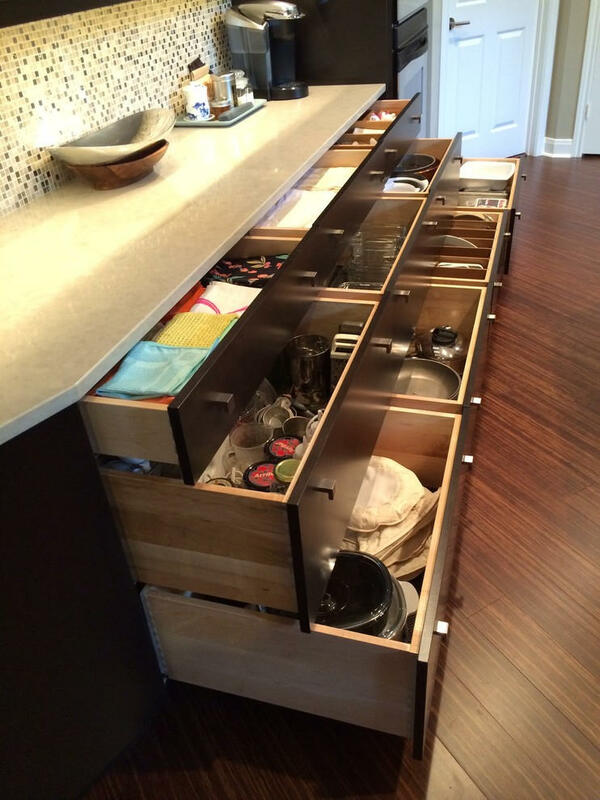 Storage and convenience abound amid all the drawers and other storage features, where organization is key. Doors with glass inserts display their extensive wine glass collection, while the under-cabinet wine chiller is conveniently located below. A stack of drawers holds all the bar supplies (the extra-deep bottom drawer holds liquor bottles upright and easy to get to). 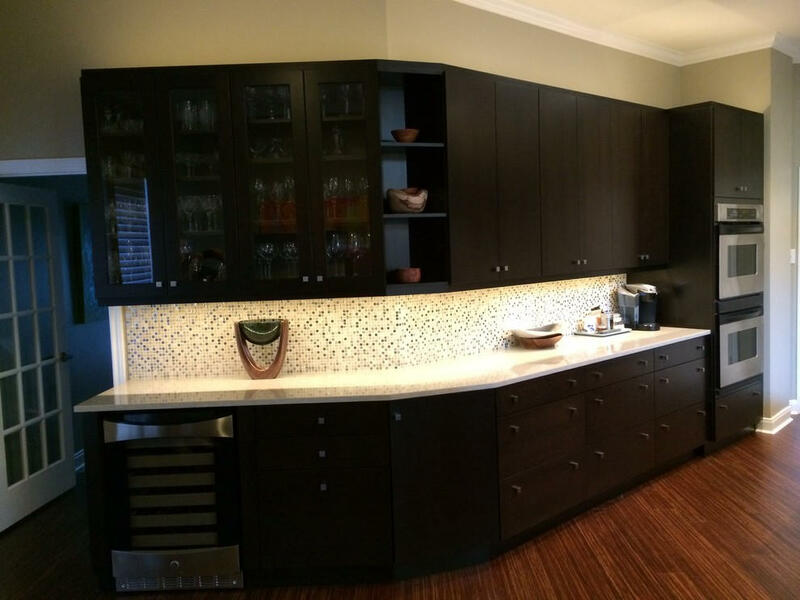 Under-cabinet and indirect lighting illuminate the space beautifully, while electrical outlets are neatly concealed below the upper cabinets. 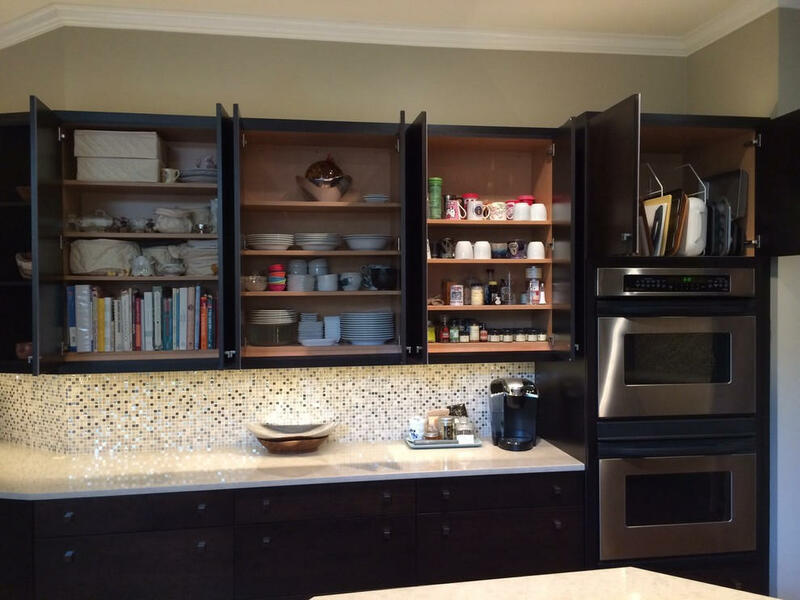 The island cooking area provides abundant storage via the many drawers and behind-doors storage all the way around. 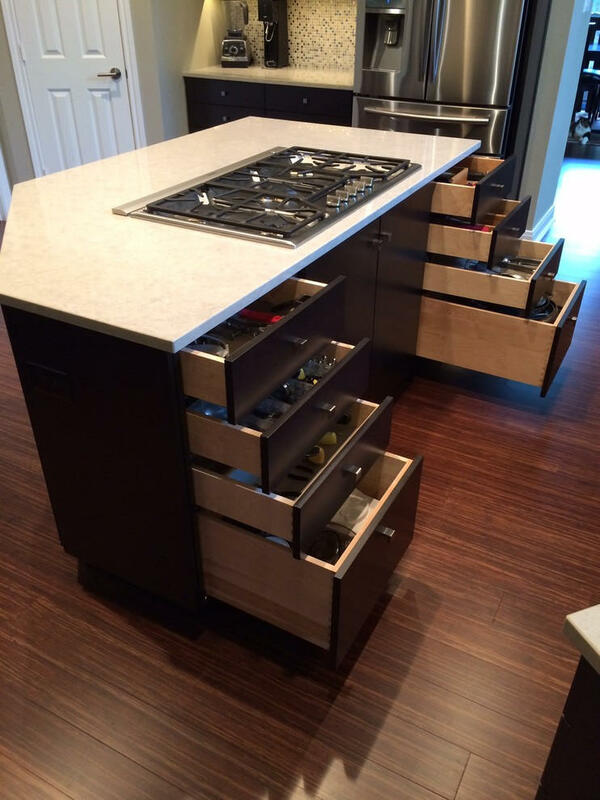 No wasted space- every inch is usable and fully accessible. 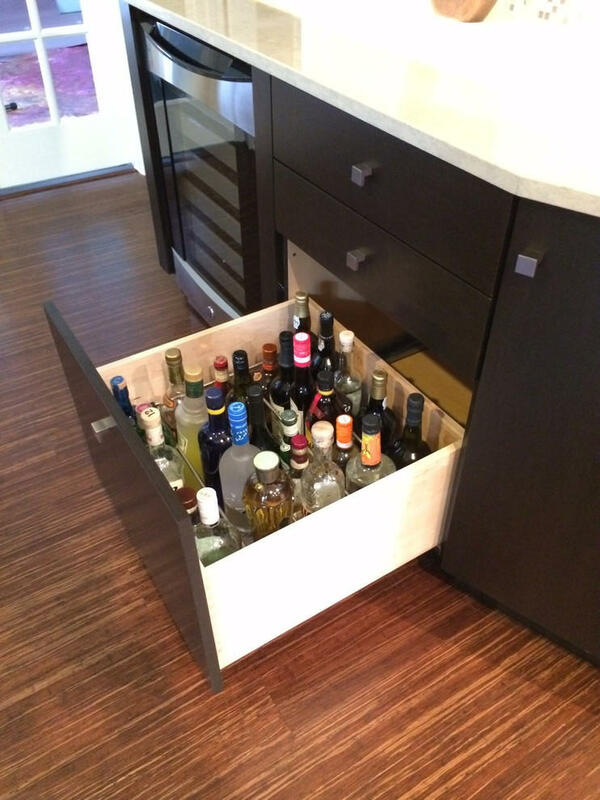 Liquor bottles are conveniently stored in this extra-deep custom divided drawer. ALL our drawers are full-extension. 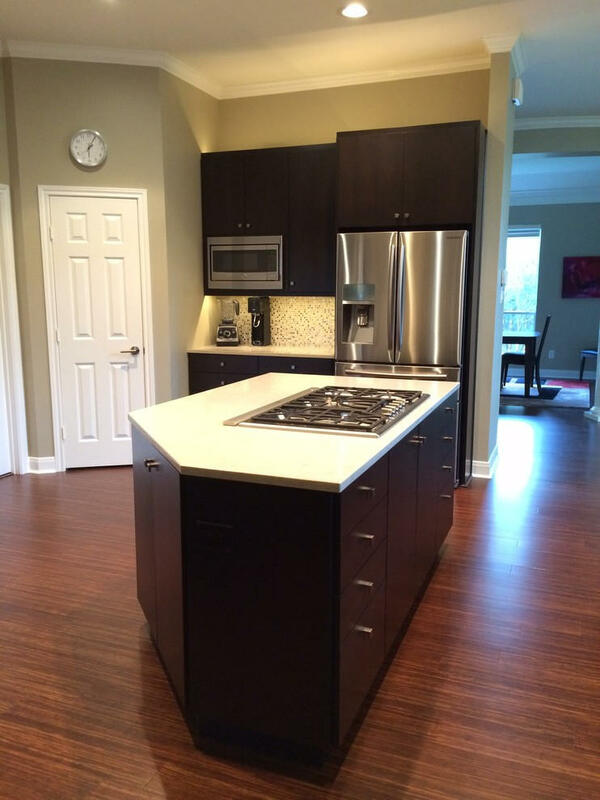 Drawers to the left & right of the cooktop provide the best storage for all the cooking utensils, gadgets, spices and more. Frameless construction (no face-frames) provides the most efficient storage, as do fully adjustable shelves, and vertical tray dividers. All to maximize storage convenience and easy access to all your goods. A mix of shallower and deeper drawers provides convenient, efficient and accessible storage for all you items. 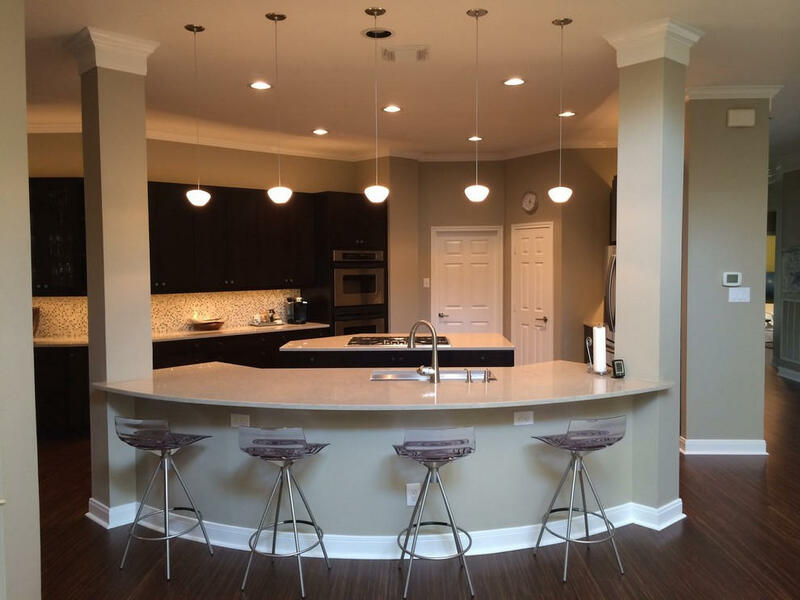 This kitchen is open to the Family Room, with seating for four or more at the curved eating counter.